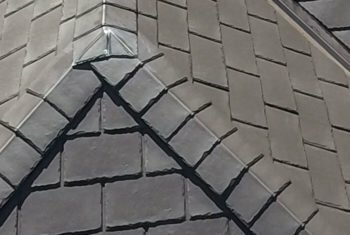 By Bill Shimburski, Technical Service Manager When considering a synthetic slate or shake roof tile system, it is important to look at the whole picture. 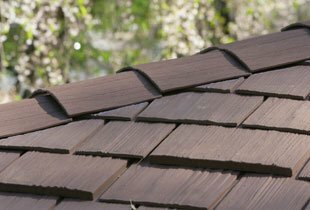 Too often potential customers are so caught up in the selection of the roof tile color and profile that they are misled as to what the actual cost and final appearance will be. The most important aspect of the roof is that it effectively protects the home or building from the elements. Cost is usually discussed as price per square (100 square feet). Often the required accessories to complete the job are not discussed in detail and can add significant cost to that low price per square. These extras can include special starter row tiles, special rake edge tiles, transition tiles to adjust mismatched exposures and specific Hip & Ridge tiles for different angle roof slopes. When choosing a slate or shake lookalike, you must know what the natural product looks like on the roof. Real slate and shake do not have big bulky end pieces on the rake. 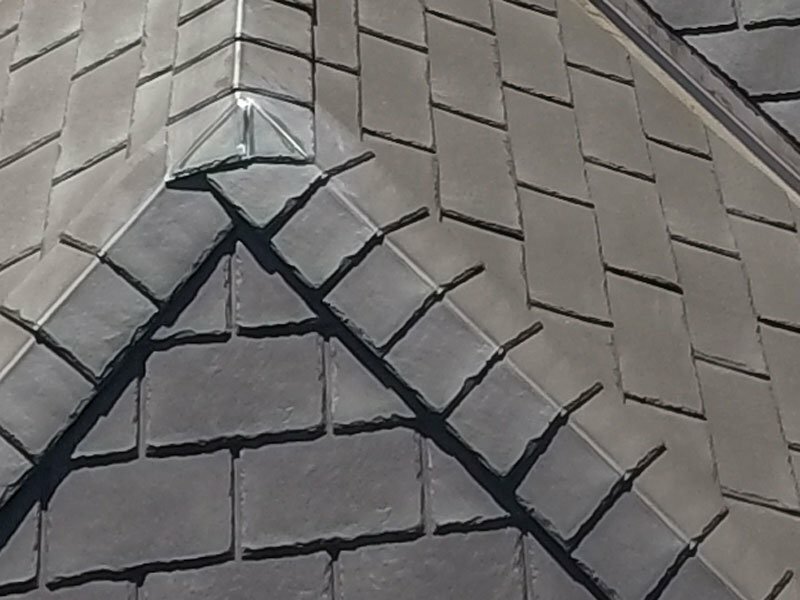 Real slate and shake are not all exactly the same color, they have inherent shade variations that add to the beauty of the roof. 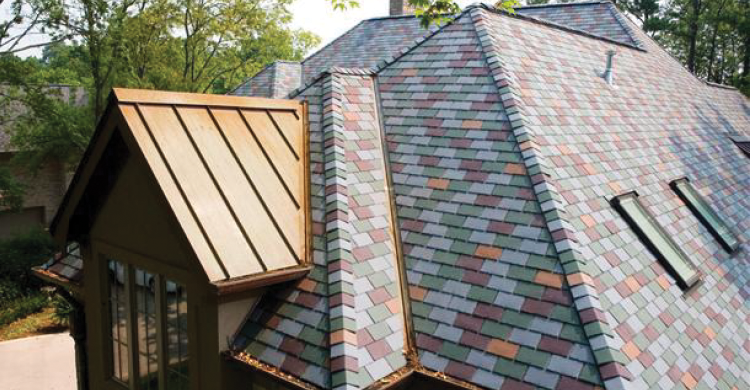 Performance features are unseen, but are the most important aspect of choosing a roof system. Local building codes may require certain performance features such as Class C or Class A fire rating, Class 4 impact rating, or certain uplift resistance values. These features and a 50-year service life are all part of an EcoStar roof system. Consider the fact that all EcoStar roof systems can be installed over any smooth, nailable roof deck, covered with industry standard underlayment. And this is done using only two tile profiles (field tile and hip & ridge). No special starter row tiles are required – EcoStar field tiles double as starter row tiles. 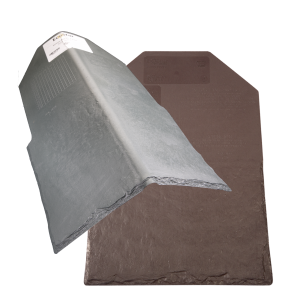 The only accessory tiles needed are the Universal Hip & Ridge tiles that are appropriate for any roof slope angle. EcoStar tiles can be easily cut to fit where necessary, and do not need special accessory tiles to “hide the ugly cut part”. EcoStar offers a wide variety of standard colors, and has the ability to match tiles to your color sample. We also offer marbled tiles formulated to mimic real slate streaked with two or more colors in each tile. Along these same lines, we offer Feathered Driftwood as one of our shake color options, which displays light and dark accents in a hand split wood grain profile tile. Slight shade variations between tiles further enhance the “real” appearance of the slate and shake. The color is molded throughout the tile, and natural weathering of the tiles will enhance the shading. Some tiles may actually darken slightly with age. Most importantly, EcoStar tiles are designed to utilize head lap. This is the overlapping of the rows of tiles to provide three layers of tile protection at every nail location on the roof. Head lap is the concept incorporated within a real slate or shake roof, and it is what protects the building from wind driven rain and/or ponding snow melt. Some of our competitors sacrifice head lap to reduce the amount of material on the roof, thus lowering the cost by compromising performance. 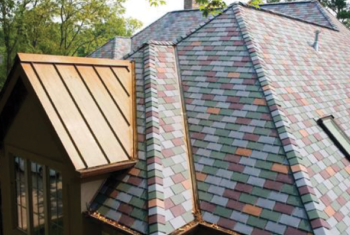 Designed to perform, EcoStar tiles closely mimic the look of real slate and shake, and combined with ease of installation, EcoStar roofing tiles are your best value.